Le Gite au Chez & La Grange. 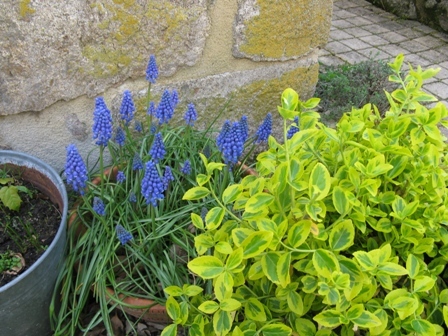 At Le Chez we now have 2 gites available and most recently a wagon for 2 people ( see Cosy wagon for 2 page). 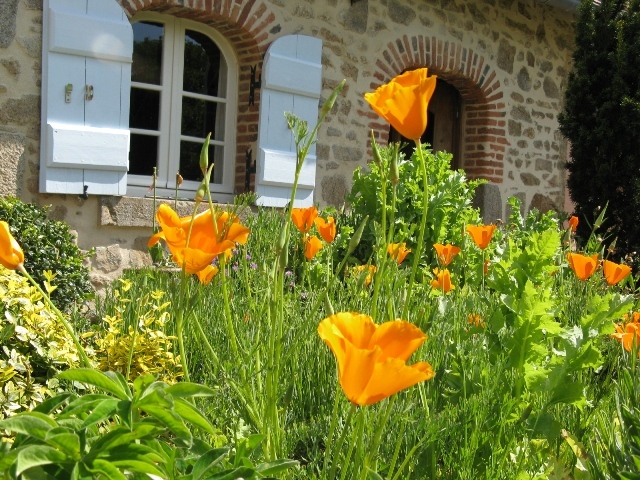 The cottage (on your left) Le Gite au Chez, has been charmingly renovated leaving the stone walls & wooden beams visible. It is situated in a courtyard in tranquil surroundings. 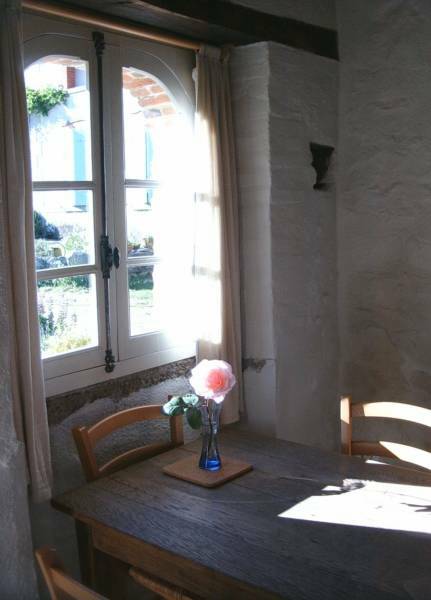 The 2nd gite, La Grange ( see below) is a converted part of a barn & has two bedrooms ( one double, one twin with a bathroom inbetween) and a large dining/kitchen and sitting room area below. 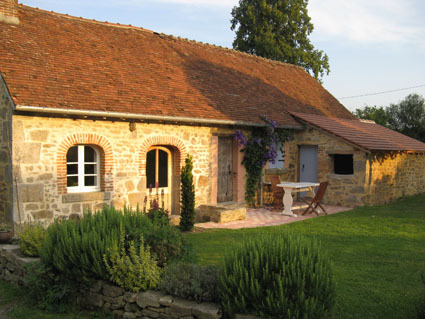 Le Chez is our hamlet with 3 habitable buildings, the 2 gites & our house. Plenty of space for everyone. 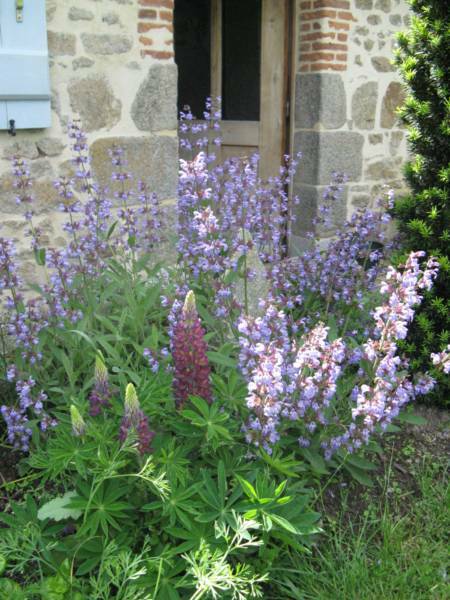 Perfect place for either a holiday or for house hunting as we are very well positioned for both lying as we do between La Souterraine & Gueret. 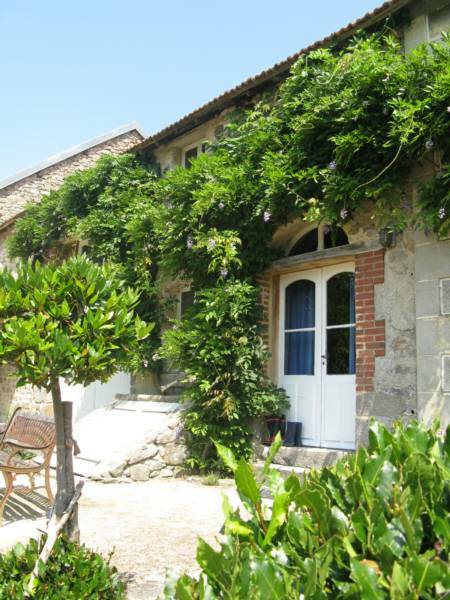 The cottage on your left has one bedroom (15m2) with one double & one single bed upstairs. Downstairs is the sitting room with a sofa and kitchen/dining area (20m2) and the bathroom (8m2) which has a shower, lavatory & washbasin. 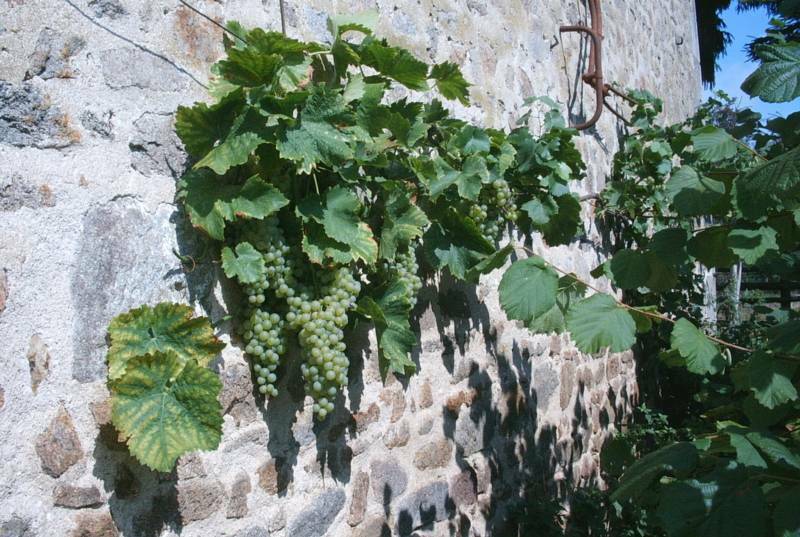 If you are a larger party than 4 we can still accommodate you in both gites. The village of St.Vaury is 1km away where there is a small supermarket, a bakery, post office, 2 banks & a charcuterie. Gueret is 10 km away where there is a much larger choice of shops etc. and a museum. La Souterraine is 20km away which is an attractive town to visit & has plenty of choice of shops. The drive is 100m long so a safe distance away from the very quiet rural D road. We are surrounded by fields and woodland, some of which we own (approx.5.5 hectares) & which you are welcome to explore. There are many bike/walking tracks easily accessible from the property ( see bike rides in the vicinity). Also several swimming lakes nearby, 10, 15 & 25 minutes away. We have herbs for your use, including basil which we plant every year. Help yourselves. English, French & Dutch spoken. Le Gite au Chez dining table.